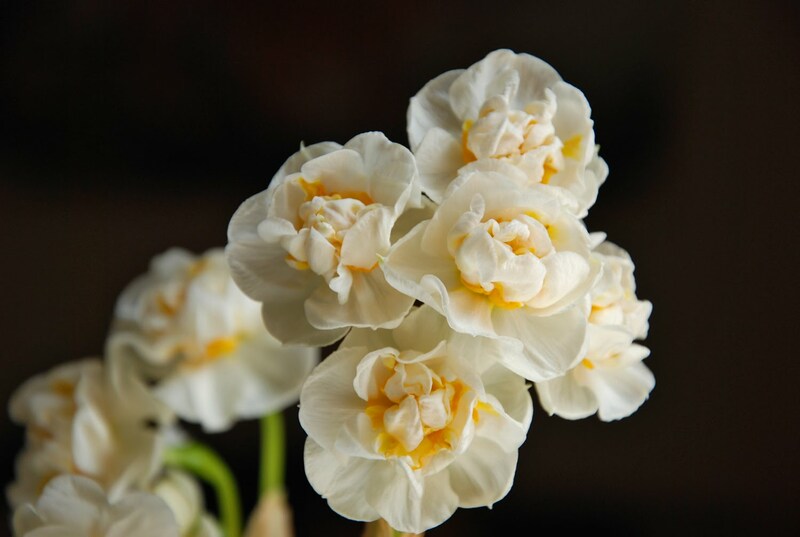 I picked up a few pots of Bridal Crown Daffodils from the grocery store and was pleasantly surprised by their beautiful blooms and delightful fragrance. With multiple blossoms on each stem, they provide a lovely and full show of flowers. I love the bright yellow center of the double flowers. And every time I walk by my indoor planter, I smell spring! I hope to see some daffodils outside in my garden soon and will look to add these Bridal Crown flowers when it's time to plant bulbs in the fall. Happy April! And don't forget to stop and smell the daffodils!